Haus of Girls: My Sister Maggie is 22! A very fun year if I remember correctly. Here is Maggie back in 1990. Is she not the cutest 2.5 year old you have ever laid eyes on? My mom was SO creative. Make a note for next year. 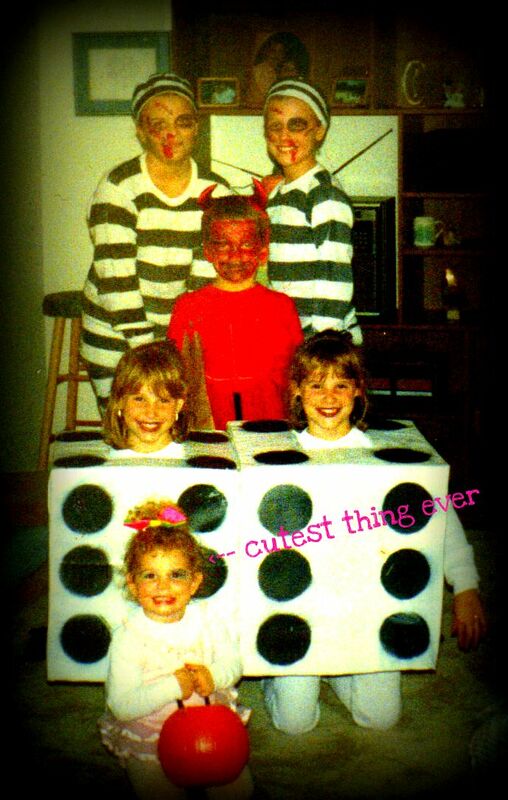 My friend Julie was my jailbird buddy and her brother Aaron was a devil. classroom when the announcement came over the intercom system. "We want to congratulate Marta on her brand new baby sister!" That was March 20, 1988. 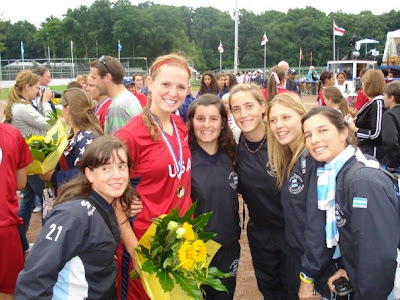 Here she is in her USA jersey last year. Signing some autographs after a home game. 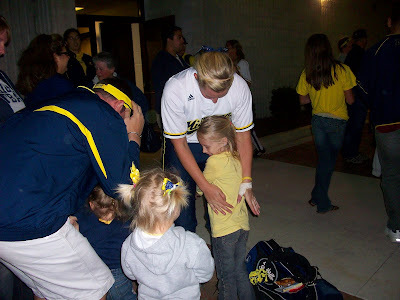 Giving Mia a hug after a game. Maggie with some fans in Venezuela. 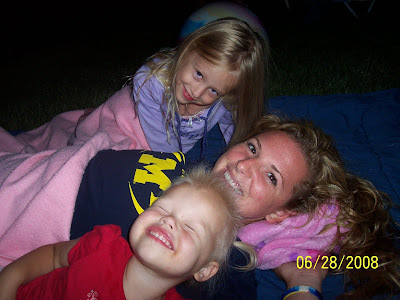 Celebrating the 4th of July back in 2008! it seems like she has been there for everything. 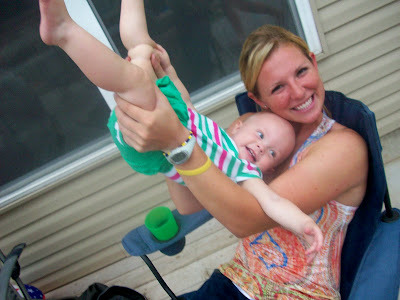 When I was looking through pictures, she is in so many! We went to lunch at Lion's Choice & we on our way to the Magic House! Gracie may or may not think she is her other mom. And she teaches Mia how to *model* like a superstar. Maggie is the greatest sister ever and I know I can tell her anything. She always gives me advice, even though I am 8 years older than her. She is funny, kind and the most spoiled of ALL of us sisters. 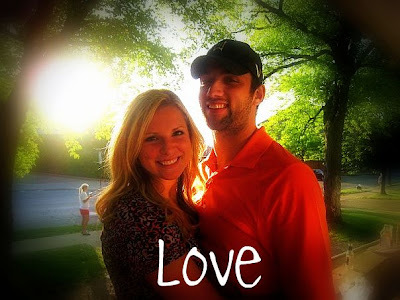 Mags & her cute boyfriend, Austin. 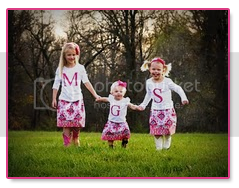 Here is a recent pic of a trip me and the twins took to visit Maggie up in Michigan. This is her last year and we are all so proud of all of her accomplishments! 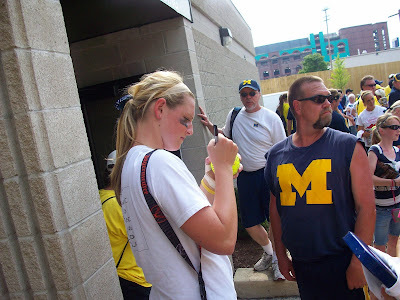 We can't wait to watch her final season games as she finishes her softball career! I hope you had the BEST birthday ever! 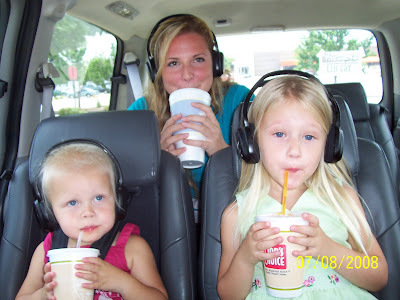 Love the photo of her with the kids and the drinks! You sisters are the most beautiful sisters I have ever seen!! I have only ever know another family with all girls (four) just like you! 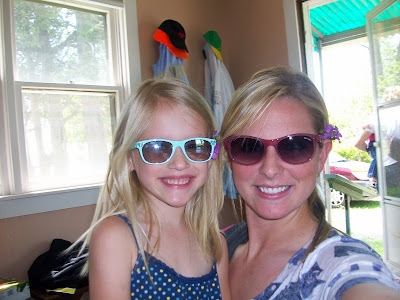 Anyways..I sound really stalkerish..I have two little girls myself and I think your blog is so sweet!